Pope Francis says in his Christmas message Tuesday that he hopes the festive season would lead to a resumption of peace talks between the Israelis and Palestinians. The pontiff says he hopes a truce in conflict-ravaged Yemen will end a devastating war which has killed around 10,000 people since 2015 and pushed 14 million Yemenis to the brink of famine. “My thoughts turn to Yemen, in the hope that the truce brokered by the international community may finally bring relief to all those children and people exhausted by war and famine,” he says. The pope also evokes the war in Syria, from where US President Donald Trump has decided to pull out some 2,000 troops in a controversial decision, arguing that the Islamic State has been defeated. Iranian President Hassan Rouhani on Tuesday unveils Iran’s first annual budget since the return of US sanctions, saying it had been adjusted to take account of Washington’s “cruel” measures. The Iranian president announces a 20 percent increase in public sector wages in a sign of the economic challenges the Islamic republic has faced since the United States pulled out of the 2015 nuclear deal earlier this year. The speech gave only a few general points of the budget — which will now be scrutinized and voted on by parliament — but acknowledges the pressure Iran was under. Former defense minister Moshe Ya’alon announces he’s forming a new political party and will run in the April election. “I’ve promised and I’ve kept my promise,” says Ya’alon in a Facebook post. He says he’ll head the party and will soon unveil the party list. “This party won’t have any shenanigans,” he says. 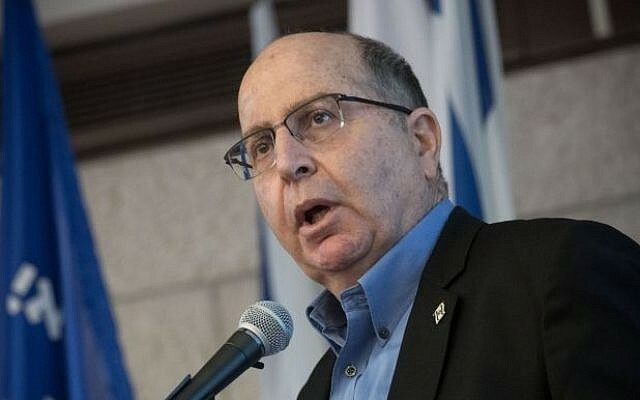 Ya’alon, a hawkish former IDF chief of staff and former Likud member, has vowed to challenge Netanyahu since he was ousted from the Defense Ministry in 2016 by the prime minister, to be replaced by Avigdor Liberman. Another political poll continues to place Netanyahu’s Likud squarely in the lead. According to the Walla news survey of 521 respondents, the Likud party would receive a projected 32 seats in the 120-seat parliament, followed by Yesh Atid with 17, Jewish Home with 12, the Zionist Union and Joint (Arab) List with 11, Meretz and United Torah Judaism with 8 apiece, Yisrael Beytenu and Kulanu with 6, Orly Levy-Abekesis’s unnamed party snatching five seats and Shas receiving four. Throwing a hypothetical party by former IDF chief Benny Gantz into the mix did not dramatically alter Likud’s prospects, giving it 31 seats to Gantz’s 14, followed by Yesh Atid with 12. 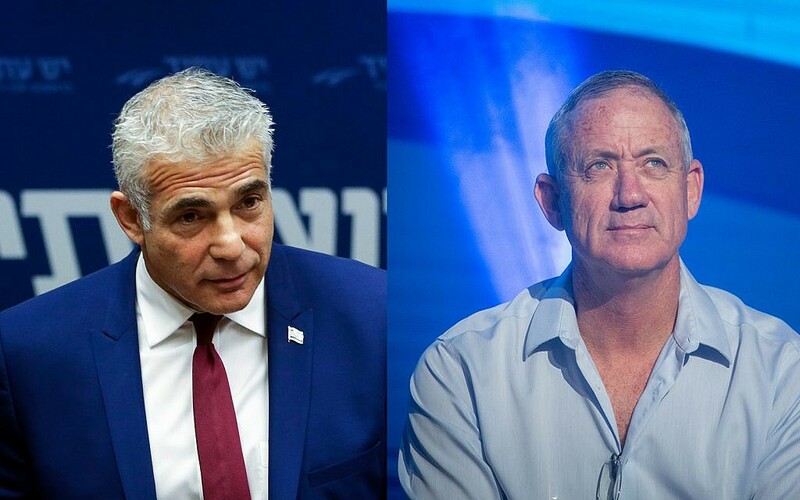 Should Yesh Atid and Gantz join forces, the poll showed it would inch closer to Likud, but would still fall short of winning — with 26 seats to the ruling party’s 31. US President Donald Trump announced last week that the US will withdraw all of its 2,000 forces in Syria, a move that will leave control of the oil-rich eastern third of Syria up for grabs. Russia launched its military operation in Syria in 2015 to back its longtime ally President Bashar Assad. Russian Deputy Foreign Minister Sergei Ryakov says in an interview with the RIA Novosti news agency Tuesday that it would be a “big mistake” to dismantle the hotline that Russia and the US use to prevent potential clashes and says he sees no indications that the Americans would do that. Residents of the northern coastal city of Nahariya should boil tap water before drinking, cooking, and brushing their teeth, until further notice, the Health Ministry advises. The warning comes after “bacterial irregularities” are found in the water supply, the ministry says. Turkey warns France against protecting a US-backed Kurdish militia in Syria and says Ankara’s military power was enough to defeat the Islamic State after US troops withdraw. Washington’s decision to pull out all 2,000 ground forces from Syria has stunned most allies, including France, but was greeted with approval by Turkey. Ankara believes its forces supporting Syrian opposition fighters will now have a freer rein to target Kurdish fighters from the US-backed People’s Protection Units (YPG). “If France is staying to contribute to Syria’s future, great, but if they are doing this to protect the [militia], this will bring no benefit to anyone,” Foreign Minister Mevlut Cavusoglu says, according to Hurriyet daily. JDC has had a presence in Indonesia since the 2004 Indian Ocean tsunami. More recently, JDC has provided aid after an earthquake and tsunami in September stuck Indonesia’s Sulawesi Island, and an earthquake that in July hit Lombok. IsraAID has had an Emergency Response Team in Indonesia since the Sulawesi earthquake and tsunami in September, it notes. Israel’s Foreign Ministry in a tweet offered “profound sympathies” for all those affected by the natural disaster, but did not offer concrete aid. Indonesia does not have diplomatic relations with Israel and has rejected previous offers of aid. Police use tear gas and fire in the air to disperse thousands of protesters attempting to march on the presidential palace to demand that Omar Bashir, Sudan’s president of 29 years, step down, according to activists and video clips posted online. The clips purport to show crowds of several hundred each gathering on side roads and headed toward the palace on the bank of the Blue Nile in the heart of Khartoum. They sing patriotic songs and chant “freedom,” ”peaceful, peaceful against the thieves” and “the people want to bring down the regime.” The latter was the most popular slogan of the 2010 and 2011 Arab Spring revolts. Large numbers of security forces are deployed across much of Khartoum in anticipation of the march, with soldiers riding in all-terrain vehicles. Police fire in the air, use tear gas and hit demonstrators with batons to disperse them, only for the crowds to assemble again and try and continue their march in pitched battles. There are no immediate reports of casualties. The protest was called by an umbrella of independent professional unions and supported by the country’s largest political parties, the Umma and Democratic Nationalist. The organizers want to submit a petition demanding that Bashir, in power since he seized power in a 1989 military coup, step down. Three Palestinians are seriously wounded by gunfire in the northern West Bank, the Kan public broadcaster says. An IDF spokesperson says the incident appears to be criminal-related. 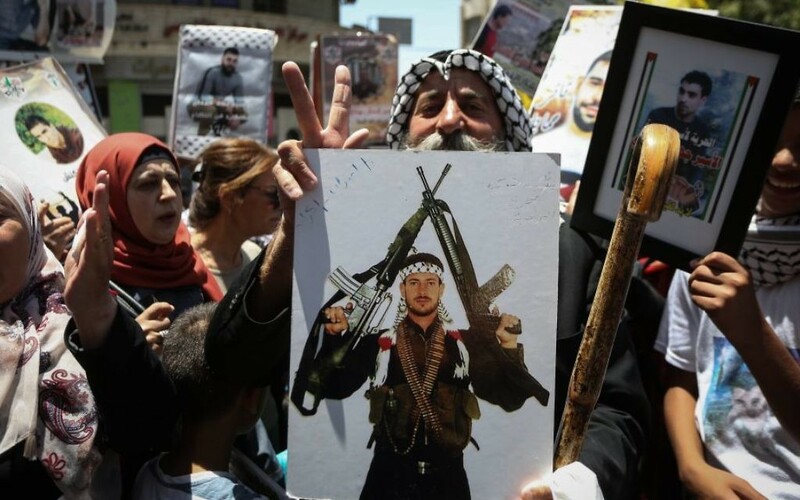 Police say a 40-year-old man, a resident of the Arab Israeli city of Umm al-Fahm, has been killed by gunfire in the northern West Bank. Another man is moderately injured and a third is lightly hurt, police say. The Likud party will hold the primary for its electoral list to run in the April elections on February 5, party officials confirm. The internal election, open to all paid-up members of the ruling party, will decide the order of candidates running for Knesset, after Prime Minister Benjamin Netanyahu who automatically holds the first spot on the list. Among those set to campaign for the Likud primaries is former minister Gideon Sa’ar, long seen as a challenger to Netanyahu. Sa’ar announced his political comeback in 2017 after a three-year break, saying his aim was to strengthen Likud. Since then, Netanyahu has accused him of attempting a “putsch” against him and attempted to advance a bill that would that would restrict the president’s powers in picking a political leader to form a coalition after national elections, in a move widely seen as an attempt to stifle a potential rebellion led by Sa’ar. A newcomer gunning to join the Likud party list is former Jerusalem mayor Nir Barkat. Yoav Gallant, a minister in the coalition’s Kulanu party, is widely believed to be planning to defect to the Likud. In an attempt to ensure some of his own preferred candidates make it onto the list, Netanyahu has asked the Likud Central Committee to reserve two places in realistic spots for him to appoint, Hadashot news reports. Prime Minister Benjamin Netanyahu tours the northern border, where Israeli troops are dismantling cross-border tunnels from Lebanon as part of Operation Northern Shield. 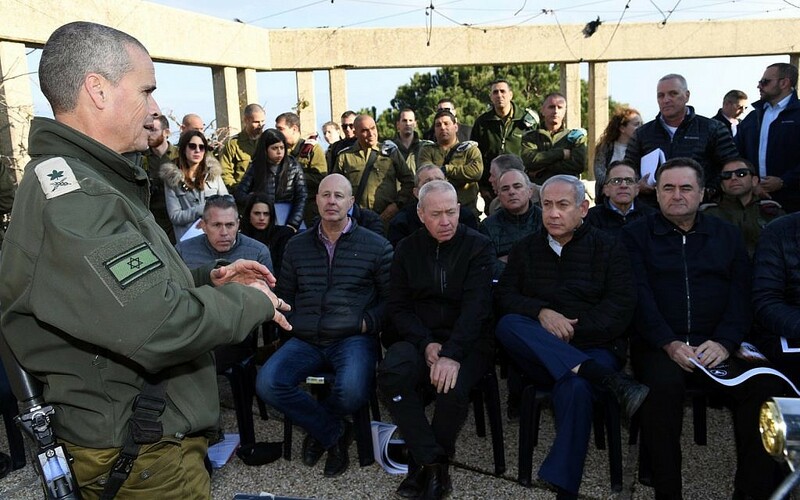 Netanyahu, who is also defense minister, and other security cabinet members receive a briefing on the security situation from the IDF chief of staff and the head of the Northern Command, according to a statement from Netanyahu’s office. “This operation is almost entirely behind us,” says Netanyahu. Lawmakers advance legislation preventing the early release of convicted terrorists and other security prisoners. The new law, proposed by Yisrael Beytenu MK Oded Forer, passes its second and third readings by 27 to 6. The legislation amends a recently passed bill to relieve pressure in overcrowded prisons by allowing the early release of convicts who have served more than two-thirds of their sentences, exempting security prisoners from the inmates who will be freed. Around 700 criminals were released last week when the new government legislation came into effect, allowing the prison authority to reduce each sentence automatically. Retired IDF Brig. Gen. Gal Hirsch, a former candidate for police commissioner, will join Moshe Ya’alon’s new party in order to run in the April elections, Kan news reports. 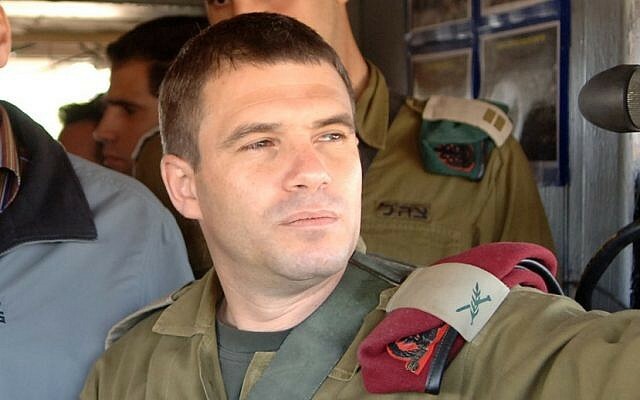 Hirsch was nominated for the position of police commissioner by Public Security Minister Gilad Erdan in August 2015, but shortly after his nomination was announced, media reports surfaced saying that the FBI and Israel Police had been conducting a two-year undercover corruption investigation into businesses linked to him. Hirsch’s nomination was revoked a month later by Erdan after then-attorney general Yehuda Weinstein said that he could not be legally appointed until the conclusion of the investigation against him, a process that Weinstein said at the time could take months. In October, state prosecutors closed an investigation into how Hirsch gained a contract to clear mines from a Rishon Lezion beach for the company Defensive Shield, owned jointly by him and others. Prosecutors said they had found no evidence of wrongdoing in the case. Former defense minister Moshe Ya’alon announced today that he is forming a new political party and will run in April’s elections. “I’ve made a promise and I’ve kept it,” said Ya’alon in a video posted to his Facebook page. He said he’ll head the party and will soon unveil its slate of candidates. Former Likud minister Gideon Sa’ar says he poses no political threat to Netanyahu. “I am not a threat to Netanyahu,” says Sa’ar, who will run in the February primaries for the Likud party after a three-year timeout from political life. “I am here to strengthen the Likud and Netanyahu,” he tells Hadashot news, amid rumors he is eyeing the premiership. US President Donald Trump vows Tuesday he will not reopen the government until he gets $5 billion to fund his border wall, as the partial government shutdown dragged into a fourth day. Trump’s demand for a physical barrier on the US-Mexico border — a pillar of his election platform — has been rejected by Democrats and some Republicans. In retaliation, Trump refused last week to sign a wider spending bill, temporarily stripping funding from swaths of the government. “I can’t tell you when the government is going to be open,” the Republican president tells reporters at the White House after his annual Christmas teleconference with US troops. The company says Tuesday it saw a 40 percent spike in inquiries into its product since the Gatwick episode. Product manager Asaf Lebovitz says the company, which emerged to target militant drone use in Syria, has shifted focus to commercial applications and has been approached by airports in North America and Europe. Israeli actress Gal Gadot thanks the crew and cast of her latest film as shooting on “Wonder-Woman 1984” wraps up. “We did it. Again!! And as much as the first time shooting Wonder Woman was amazing, this time was even more unique and special.. We shot in 4 very different locations in 3 countries, and I’m so soooo proud of the almost 1000 crew members who came to set every day, giving everything they have into our movie,” she writes in a post on Instagram. The first “Wonder Woman” film was the highest-grossing movie of summer 2017 with $412.5 million in the US, and $821.8 million worldwide. “Wonder-Woman 1984″ is set to be released on June 5, 2020. Israel’s main nightly broadcasts offer new polls on the upcoming elections — with and without wildcard Benny Gantz, who has yet to announce whether he will run in the next election. According to Channel 10, if elections were held today: Likud would receive 30 seats; Yesh Atid would get 15; Zionist Union would receive 12; the Joint (Arab) List would receive 12; the Jewish Home would win 10; Orly Levy-Abekasis’s party would receive 8; Yisrael Beytenu, United Torah Judaism, and Meretz would all receive 7; Kulanu and Shas would receive 6. With Gantz installed as the leader of a party, the Likud would receive 27 seats, followed by Gantz with 15, and Yesh Atid with 12, it said. Should Gantz team up with Yesh Atid, together they could win 26 seats to Likud’s 27, the network says. But it notes the center-left bloc overall appears poised to win just 54 seats — not enough to cobble together a coalition. According to Hadashot TV, with Gantz: Likud would win 29 seats, Gantz’s party would get 16 seats, the Joint (Arab) List would take 12 seats, the Zionist Union would get 11, as would Yesh Atid. Should Gantz run on a joint ticket with the Zionist Union, the Likud would win 31 seats, and the alliance would get 25, it said. Yesh Atid would win 11 seats in such a scenario. According to Hadashot, a majority of respondents (52%) don’t want Netanyahu to be the next prime minister, while 34% do. 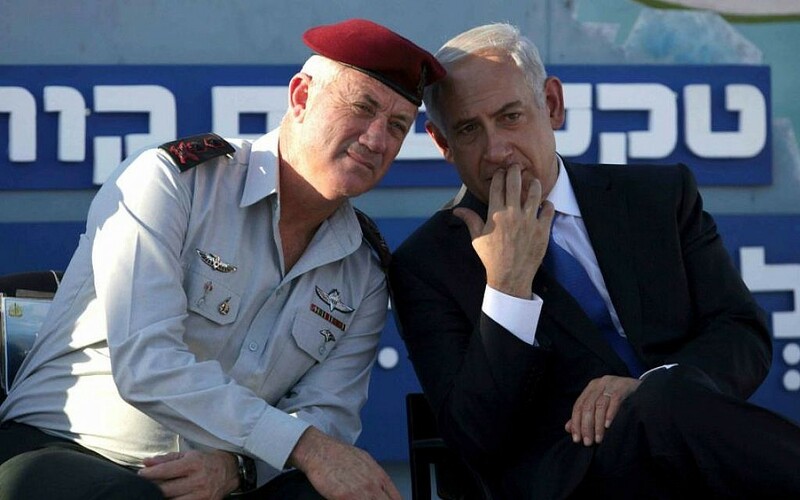 Channel 10 reports that Zionist Union chairman Avi Gabbay has offered Benny Gantz to lead his party, but that the former IDF chief turned him down. Independent lawmaker Orly Levy-Abekasis announces in an interview with Hadashot news that her new political party will be named Gesher. Abekasis left the Yisrael Beytenu party in 2016. The Kan public broadcaster also airs an opinion poll. It shows the Likud winning 30 seats in the next election, followed by Yesh Atid with 13, and the Zionist Union with 10. According to the survey, which is similar to Hadashot, just 37 percent of respondents want to see Netanyahu as the next prime minister. But only 13% would want either Gantz or Lapid to fill the top role, and just 7% want to see Gabbay elected as premier. The factions that make up the United Torah Judaism party — Degel HaTorah and Agudath Yisrael — have decided they will continue to run together on a joint ticket in the April elections, the Kan public broadcaster reports. The party has been dogged by fights over candidates in the October municipal elections in Israel and disagreements over the proposed ultra-Orthodox military enlistment law. The Knesset Finance Committee approves a $185.5 million grant to the Intel Company to expand a production plant in southern Israel. The grant is part of a planned $5 billion investment by Intel in its plant in Kiryat Gat, which the company announced in May, the Israeli business daily Globes reports. The company also commits to hire 250 new employees, and use local vendors and retailers for some deals. The Fab 28 plant manufactures chips for servers, workstations, mobile computers, and desktops, according to the Israeli business publication Calcalist. Intel is Israel’s largest private employer and biggest exporter, with Intel Israel exporting $3.6 billion worth of goods in 2017, according to Globes. Netanyahu may cut his five-day visit to Brazil short over the political developments in Israel, his office says. Netanyahu is scheduled to head to Rio on December 27, where he will conduct a first bilateral meeting with the newly elected Jair Bolsonaro and meet representatives of the Jewish community. On Monday, December 31, the prime minister will fly to the capital, Brasilia, for the events surrounding the president’s inauguration the next day. He is scheduled to attend ceremonies at the Presidential Palace, the Foreign Ministry Palace, and at the National Congress.